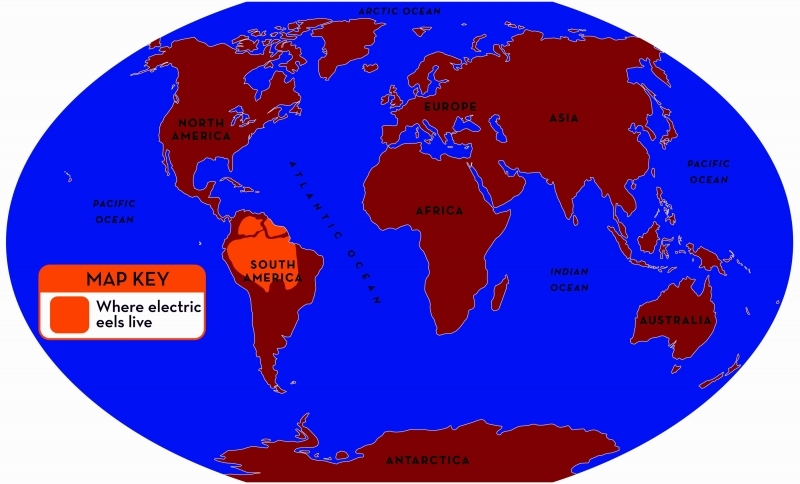 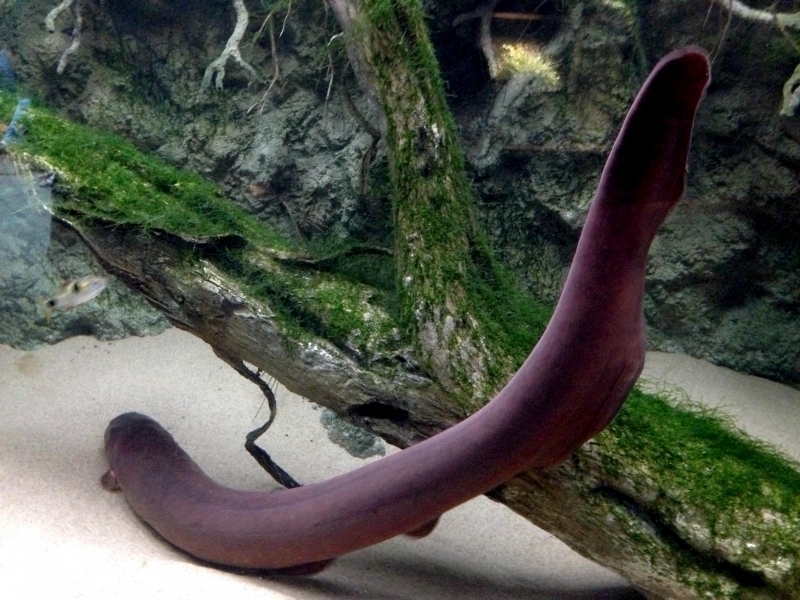 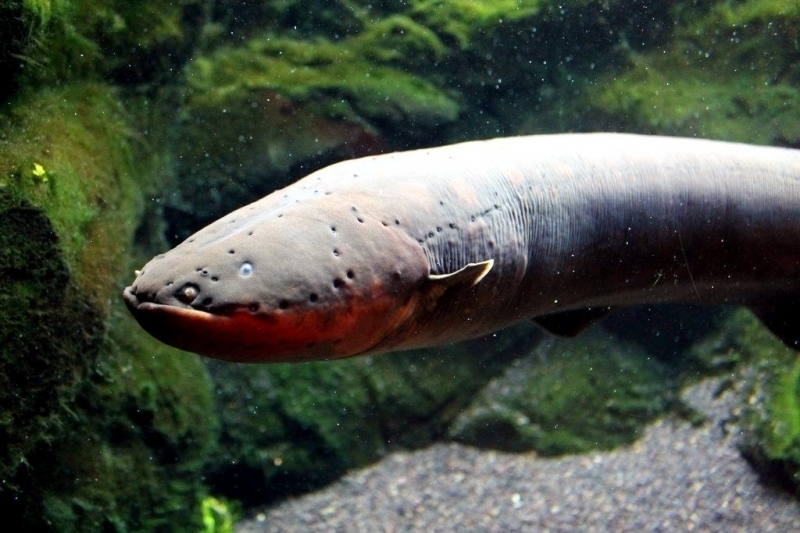 Electric Eels are found in the waters of South America and are capable of generating a 500+ volt electric shock through 28 feet of still water. 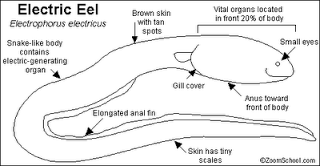 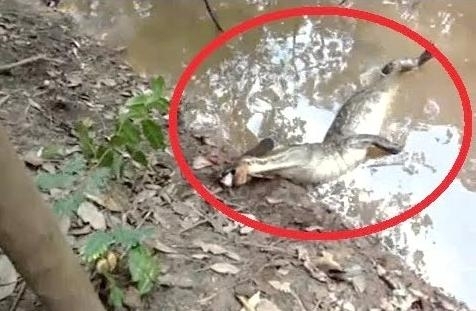 The shock that the Electric Eel produces is enough to harm and if the conditions are right, even kill any large mammal including humans. 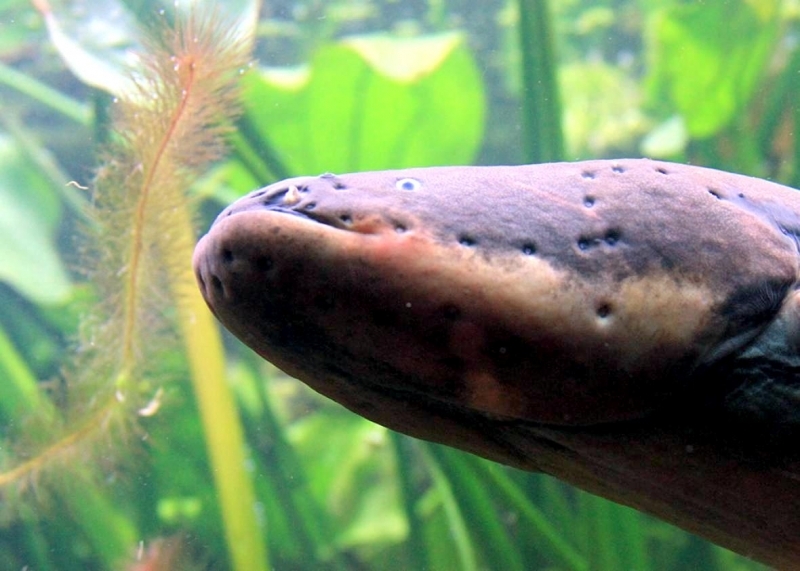 Electric Eels can grow up to 2.5 meters and only need to surface for air every 10 minutes due to the complex circulatory system. 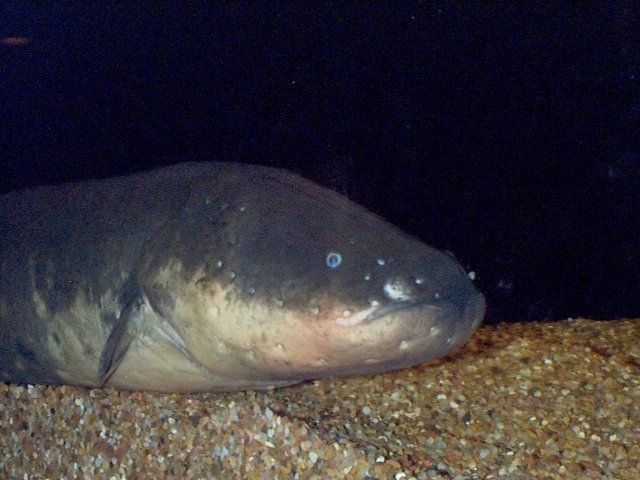 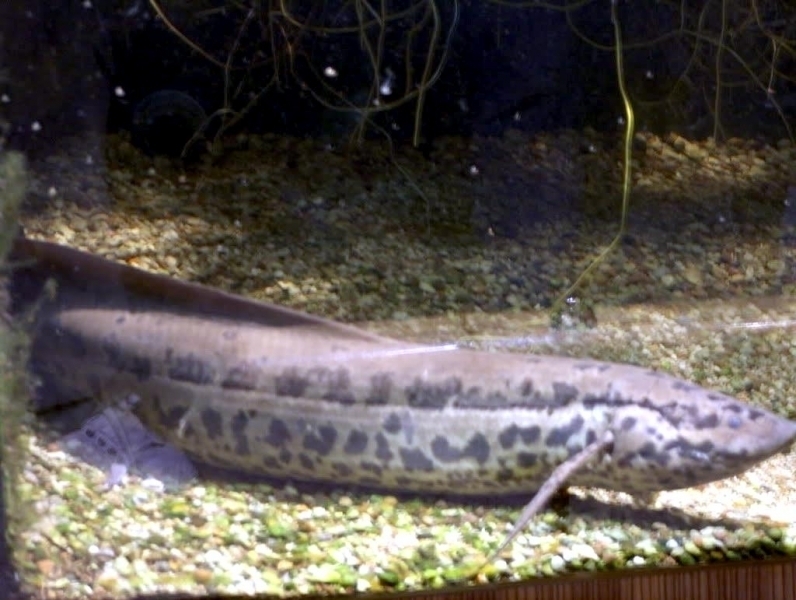 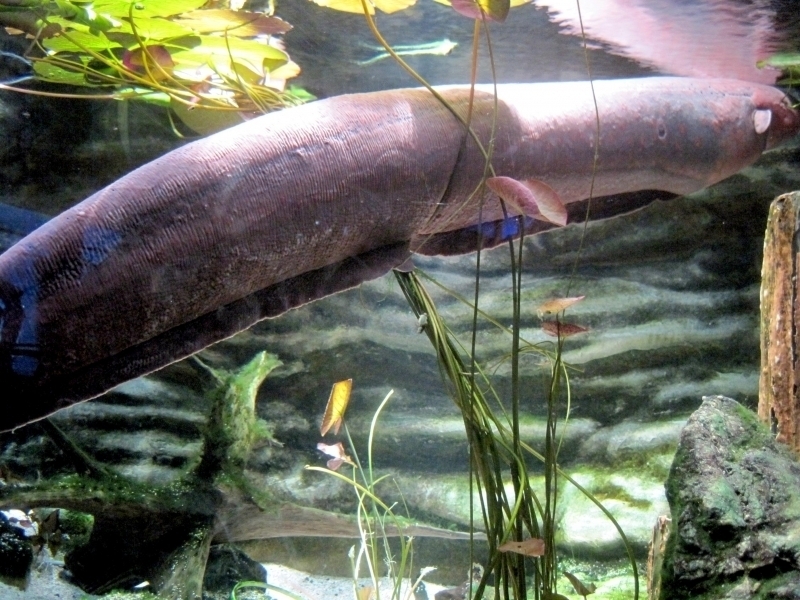 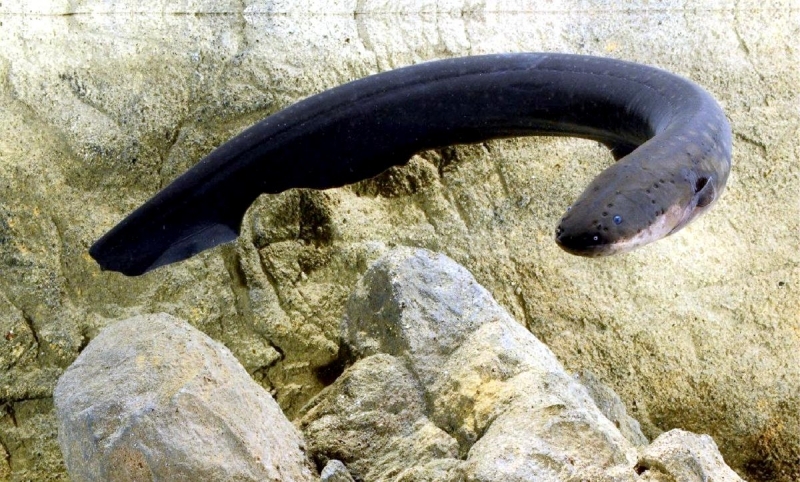 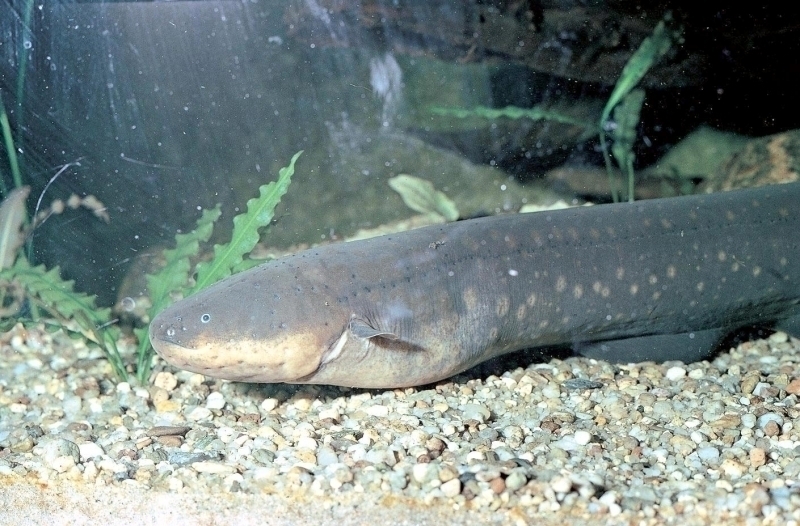 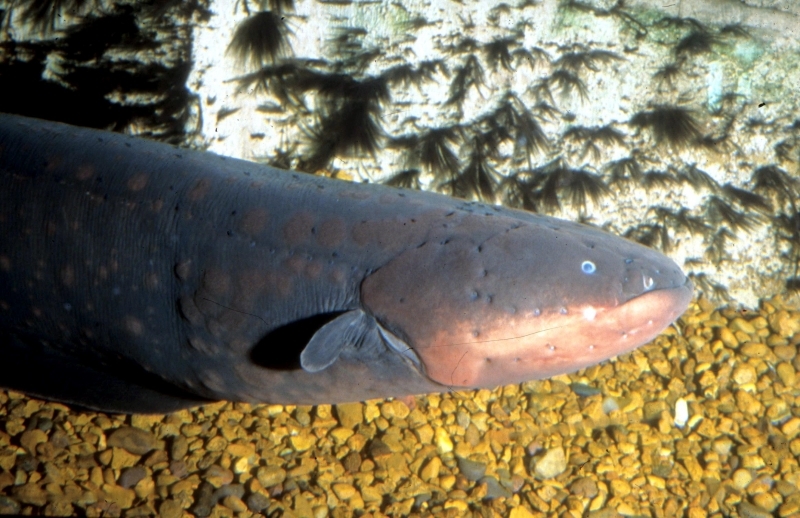 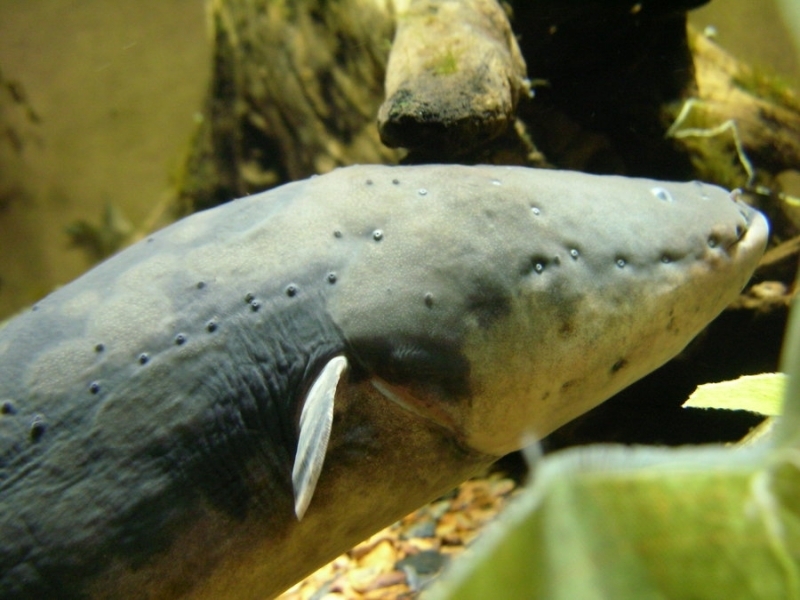 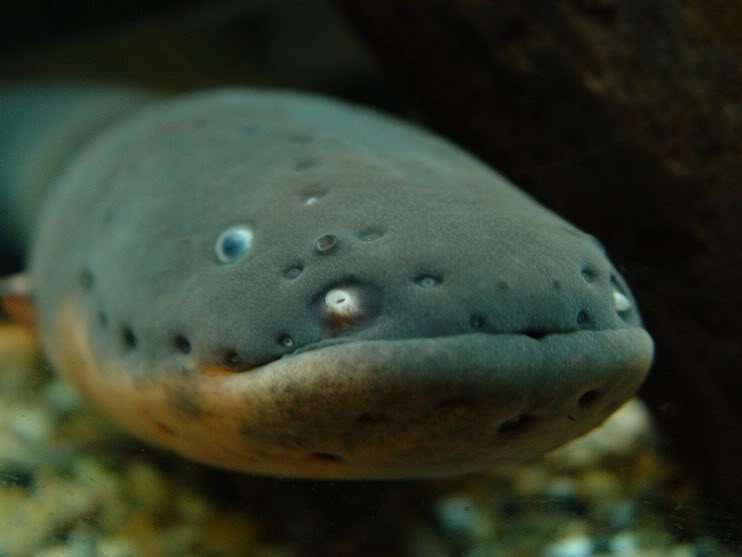 Despite the name, the Electric Eel is actually related most closely to a catfish and not the common eel fish tending to be smaller than their eel fish counterparts. 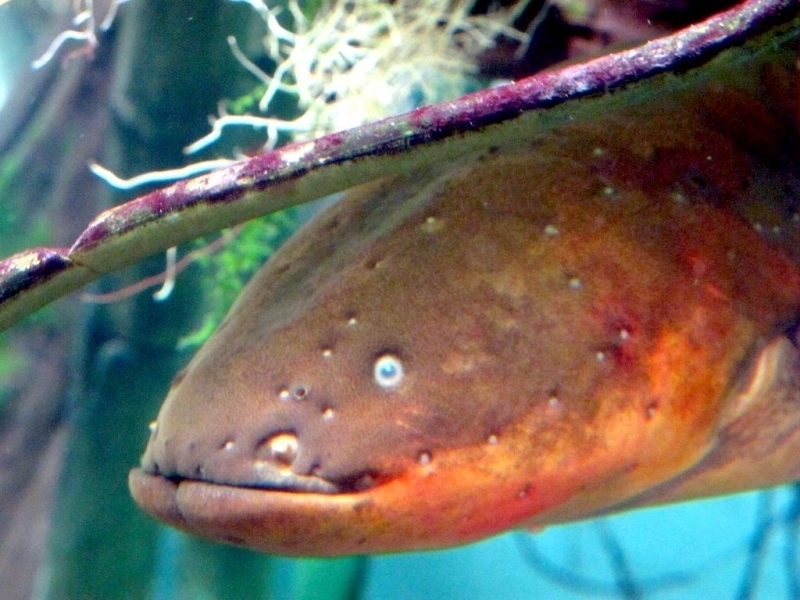 The electricity that the Electric Eel uses to shock its prey, is produced in pairs of organs that are found in the abdomen. 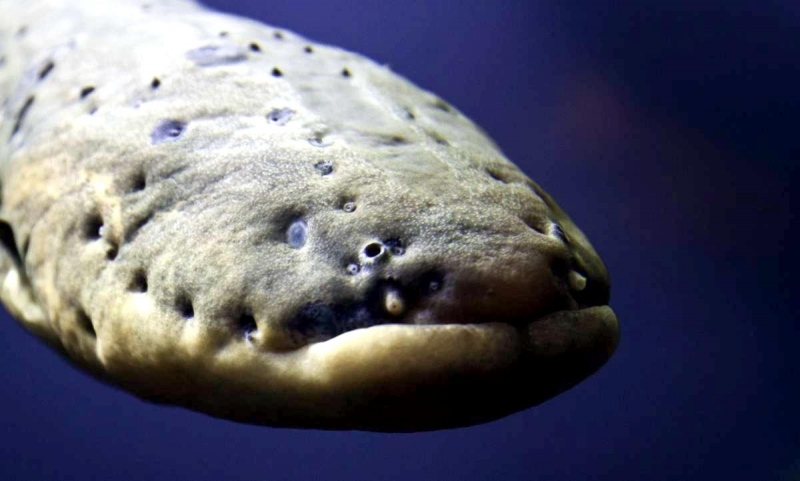 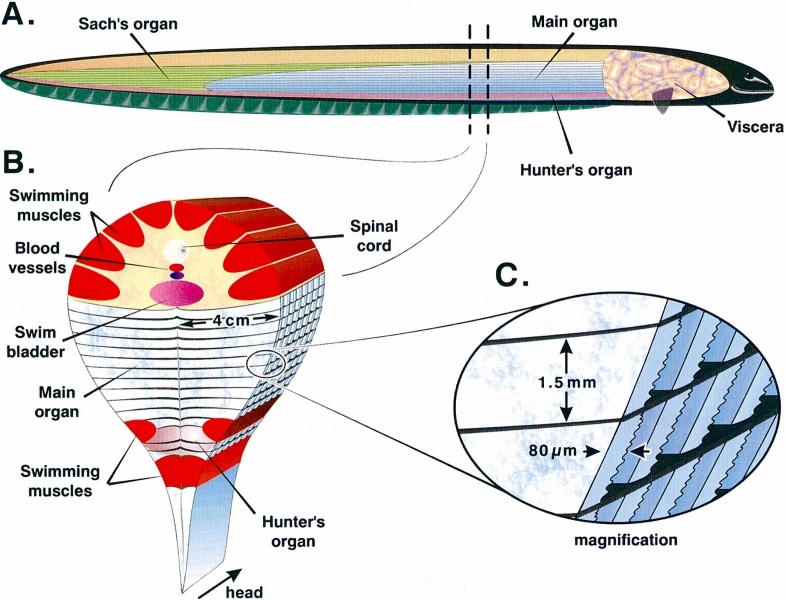 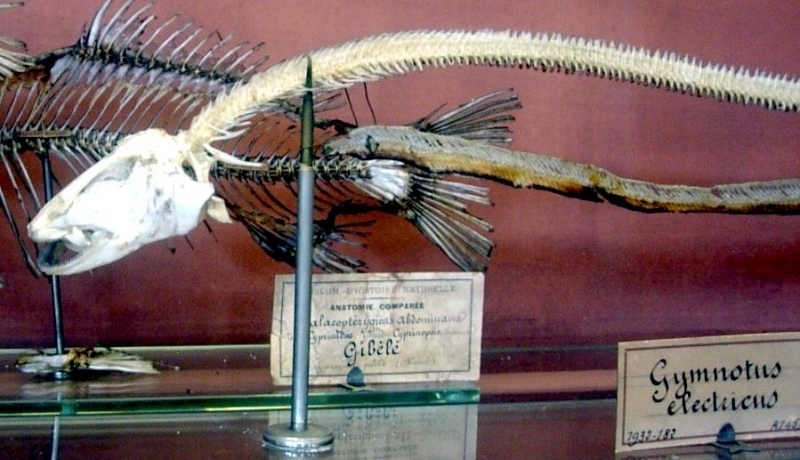 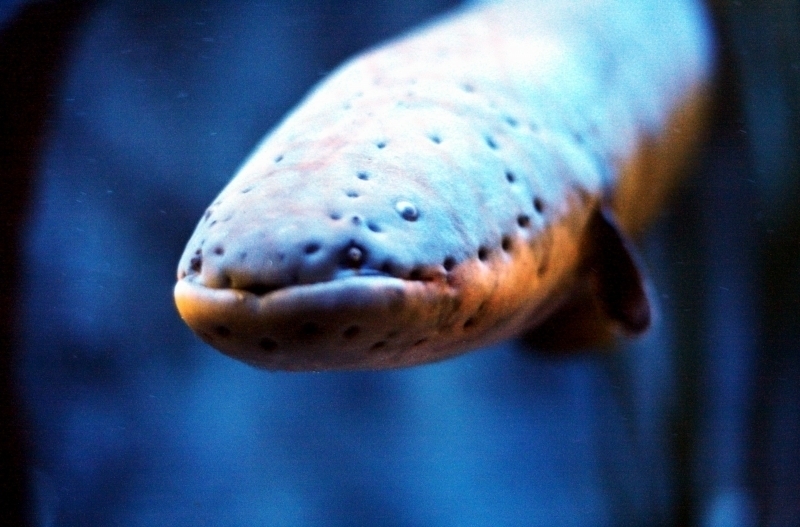 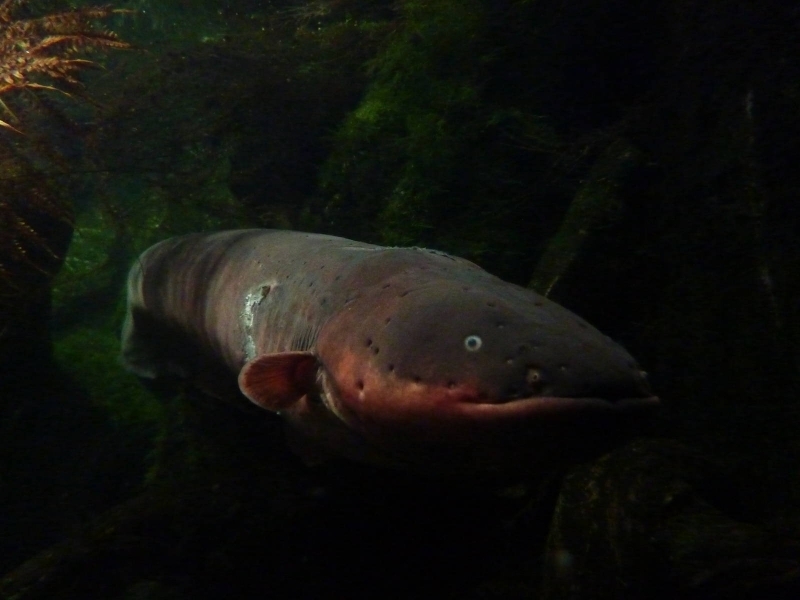 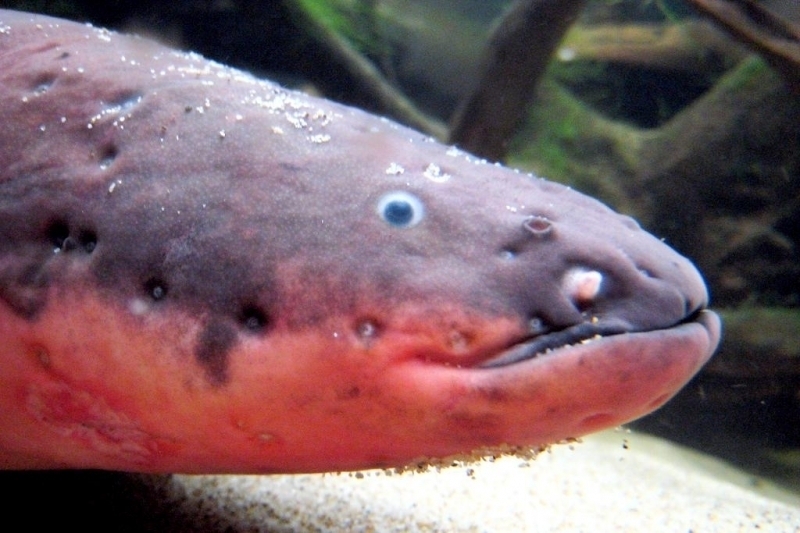 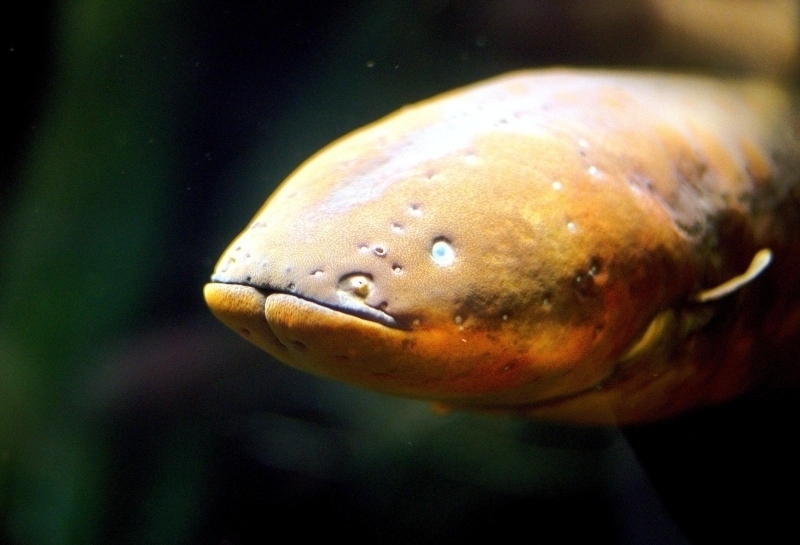 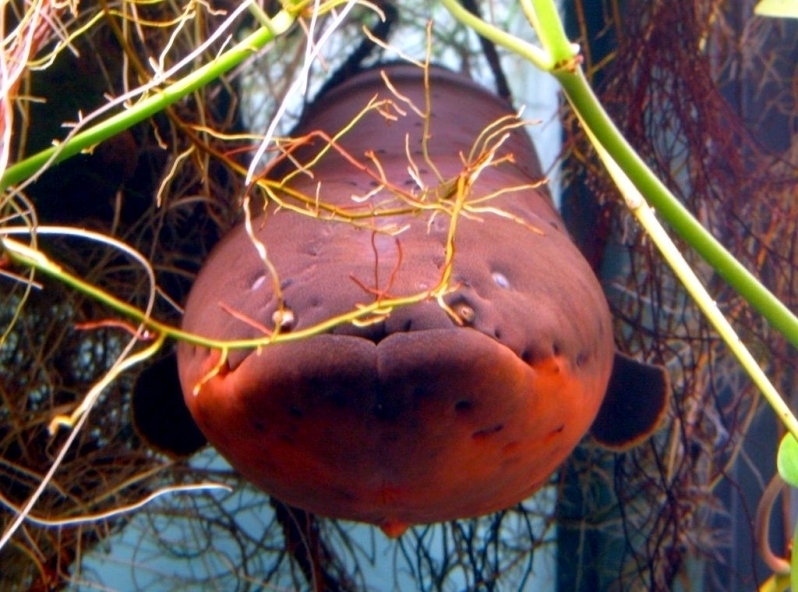 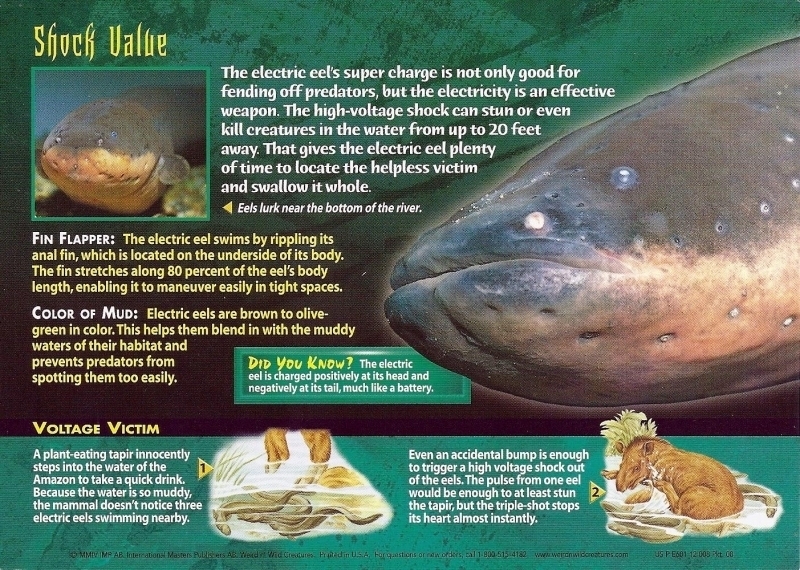 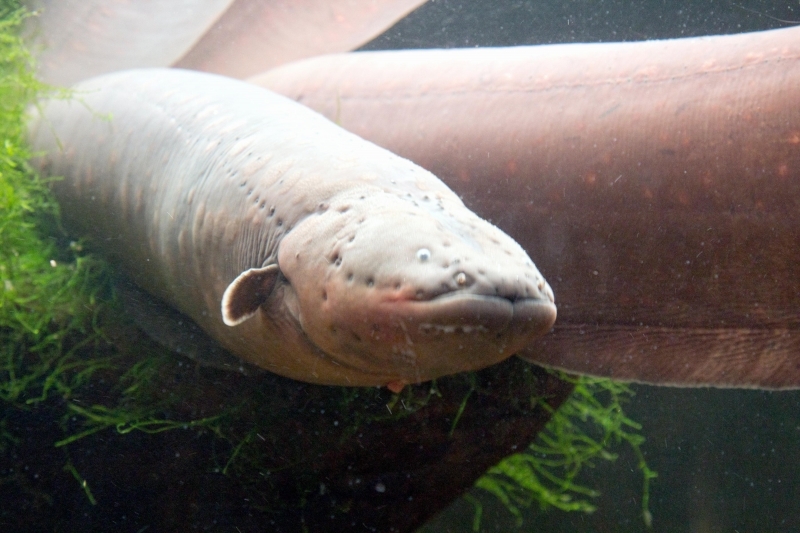 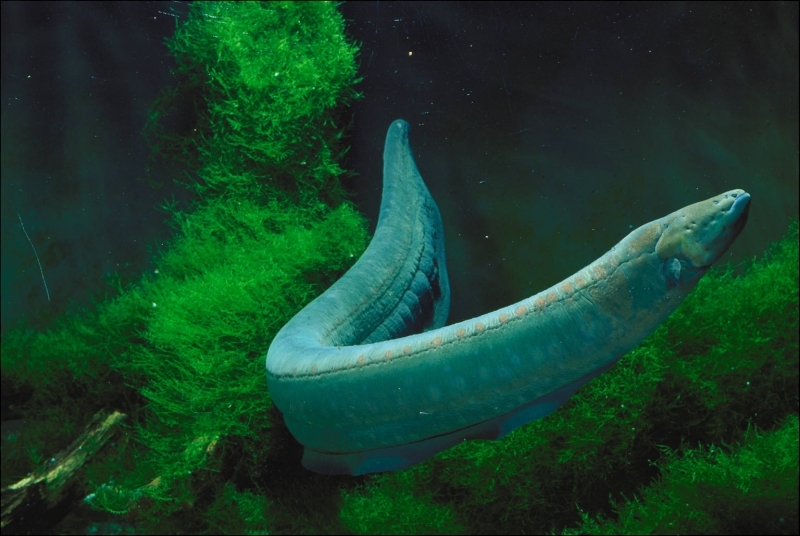 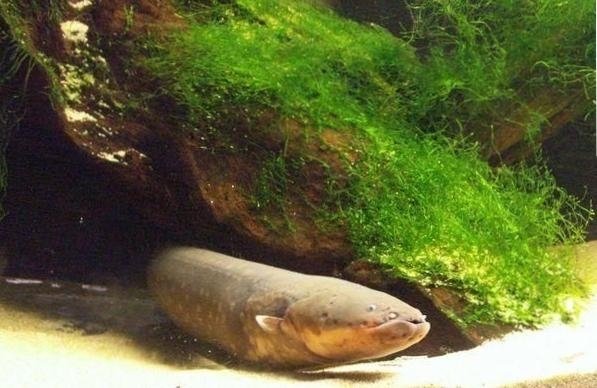 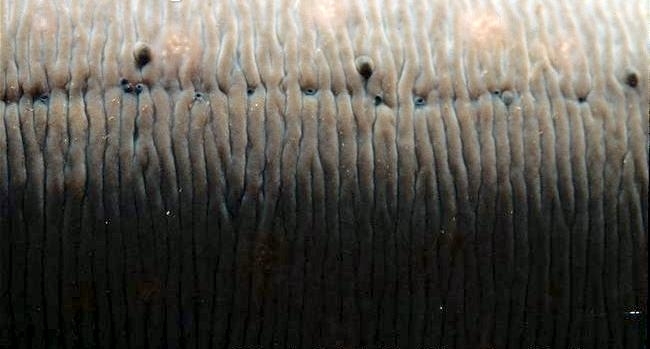 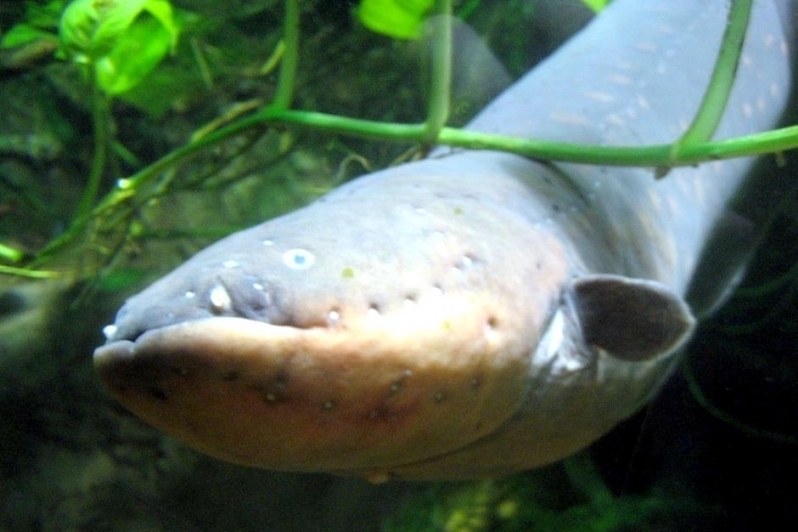 These electricity producing organs take up around of 80% of the body of the Electric Eel leaving only 20% of the body free to hold the vital organs that it needs to survive. 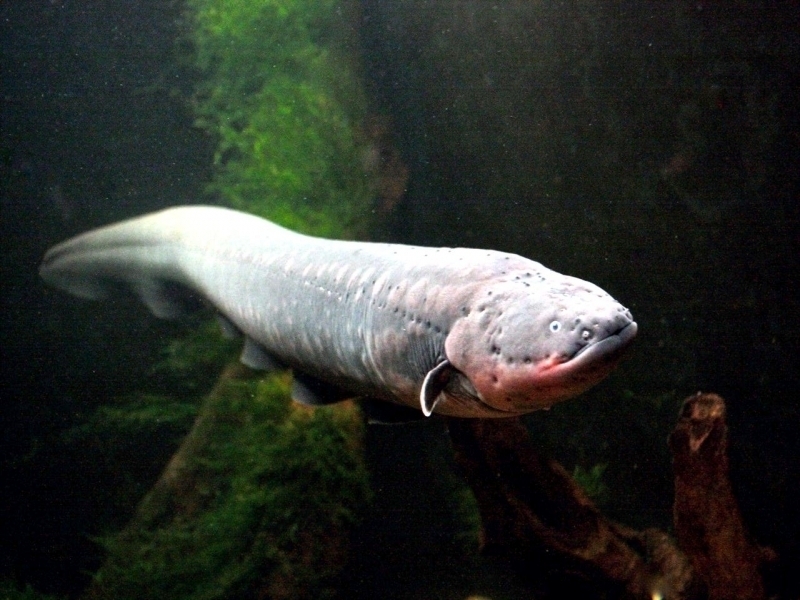 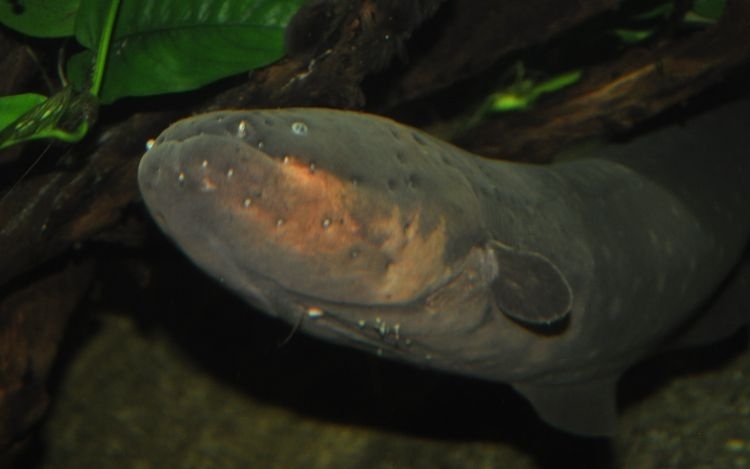 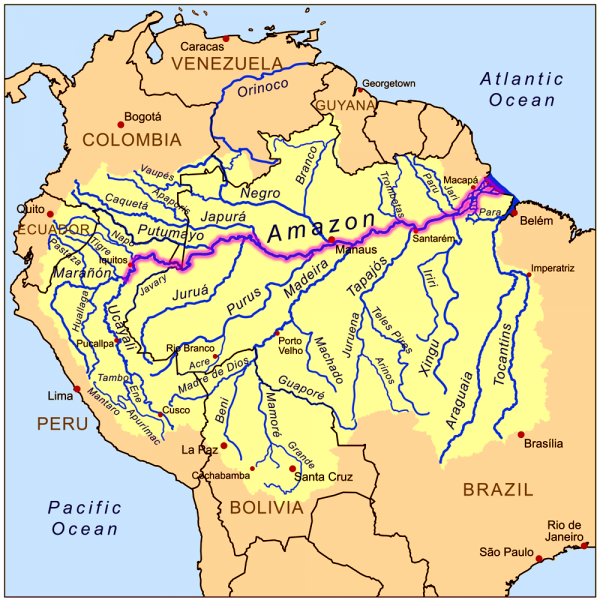 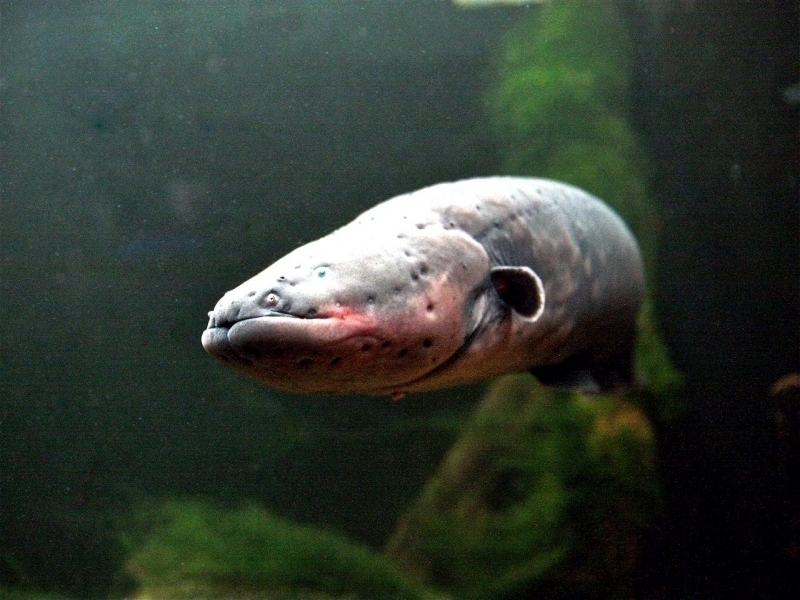 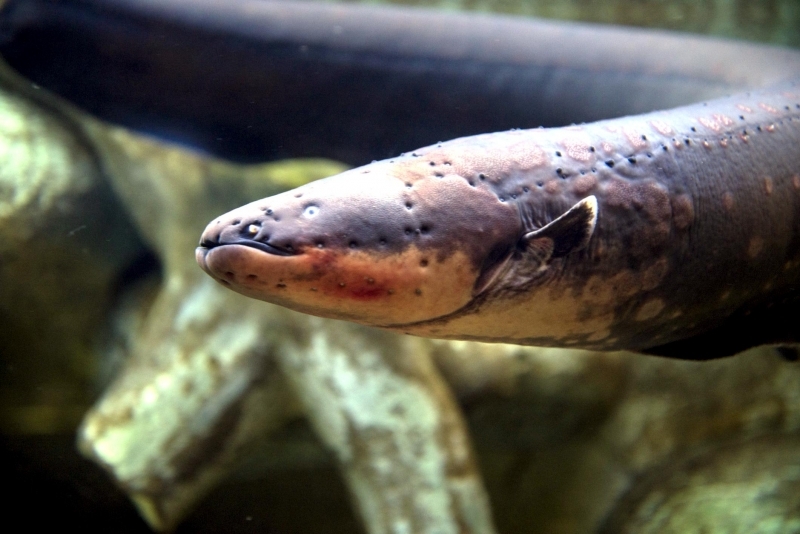 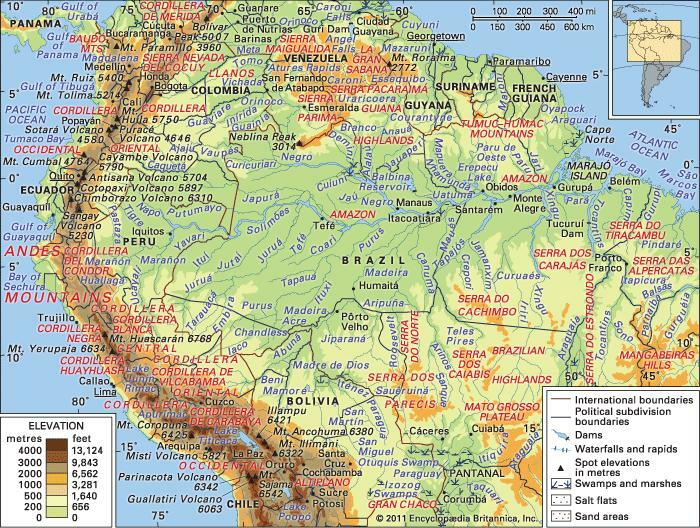 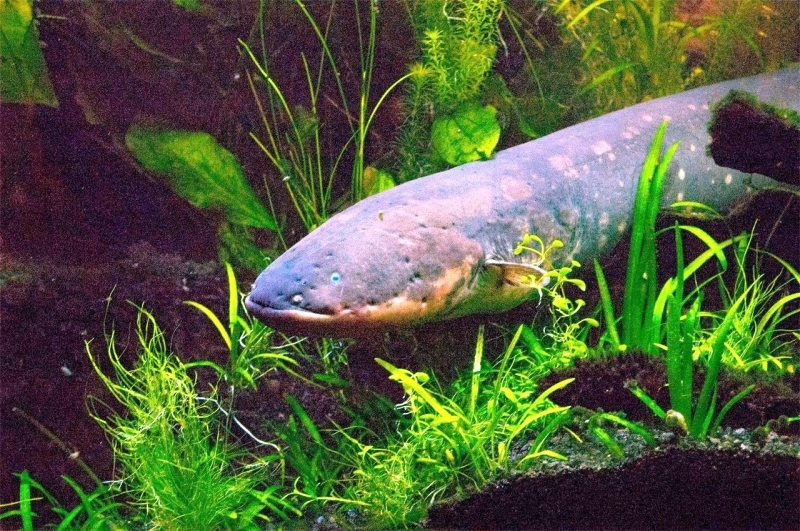 Electric Eels are found inhabiting freshwaters of the Amazon & Orinoco river basins in South America and tend to prefer the river floodplains, swamps, coastal plains & creeks. 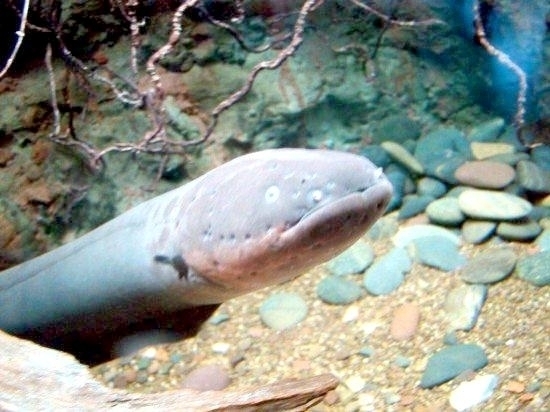 Electric Eels tend to live on muddy bottoms in calm water and in stagnant arms of rivers where they spend most of the time hunting. 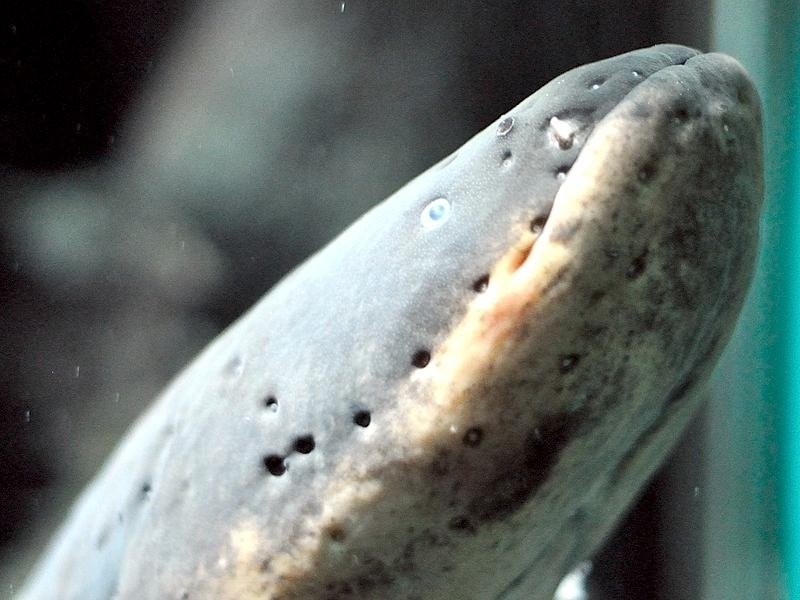 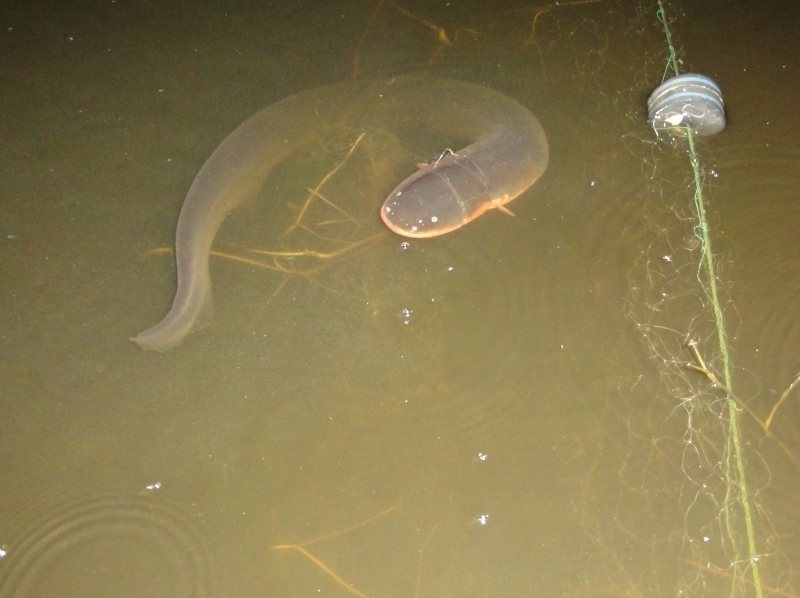 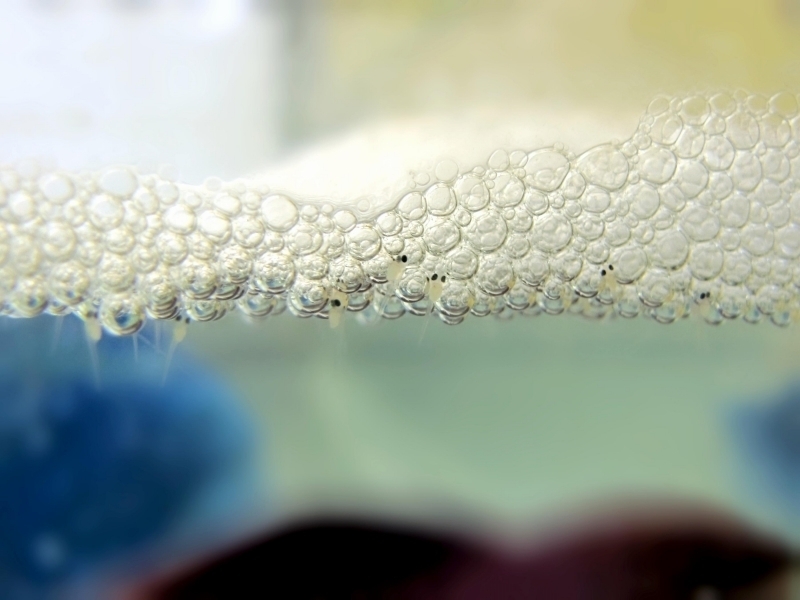 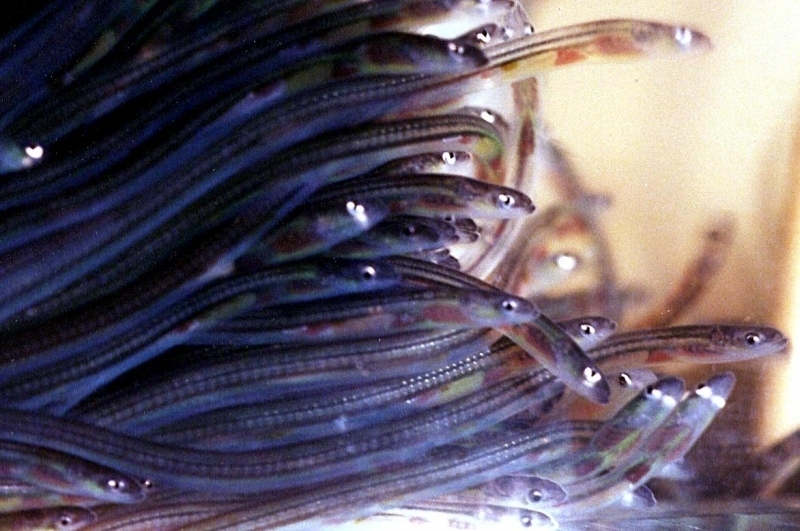 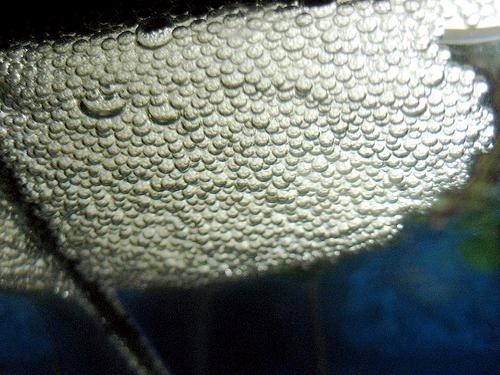 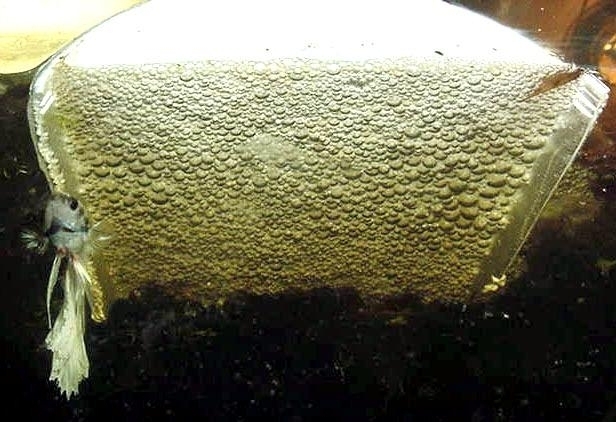 As many as 17,000 young Electric Eels will hatch from the eggs in 1 nest. 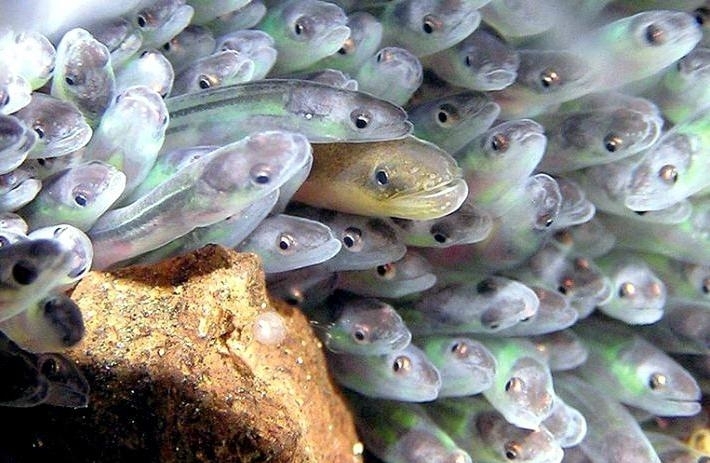 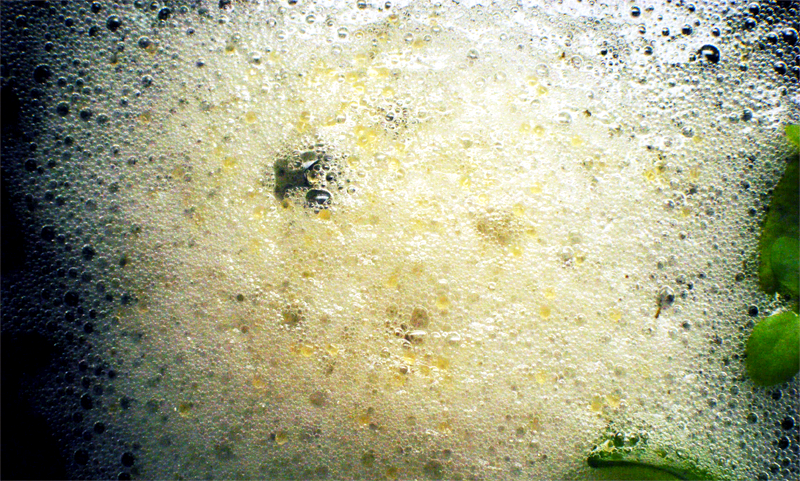 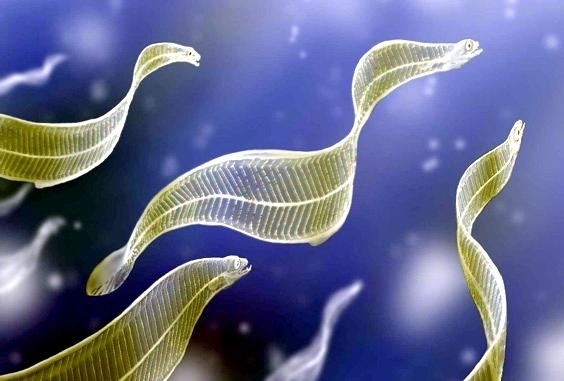 These young feed mainly on invertebrates found on the river bed however, first-born baby Electric Eels have been known to gobble up the eggs from batches of other Electric Eels that were laid only a short time after themselves. 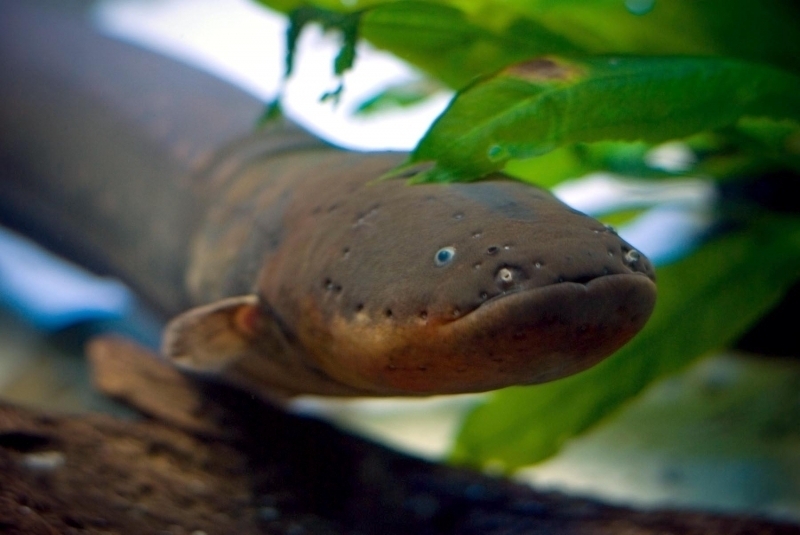 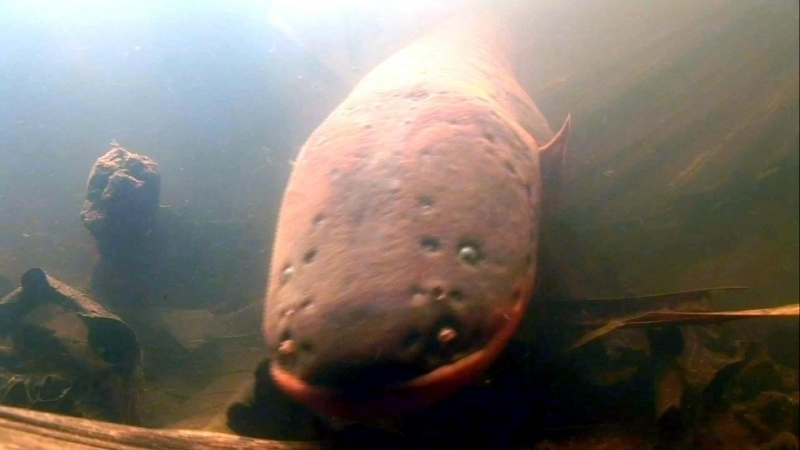 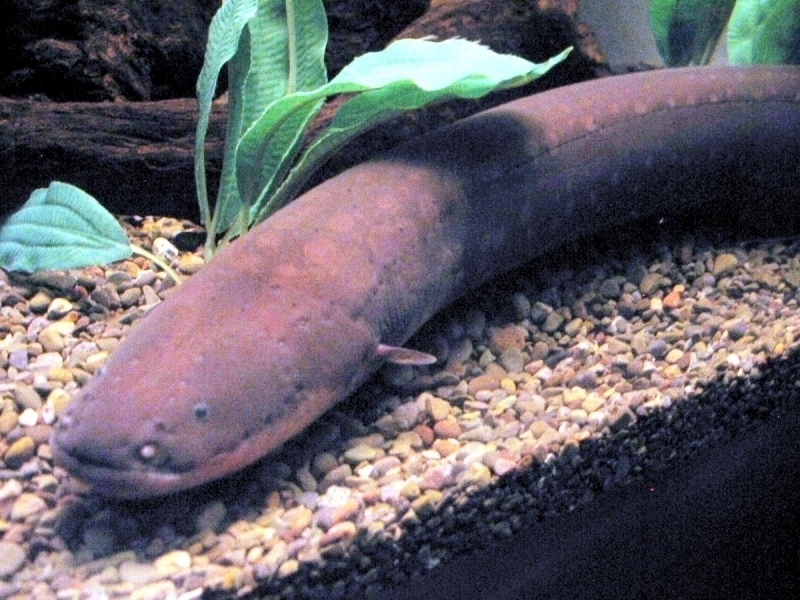 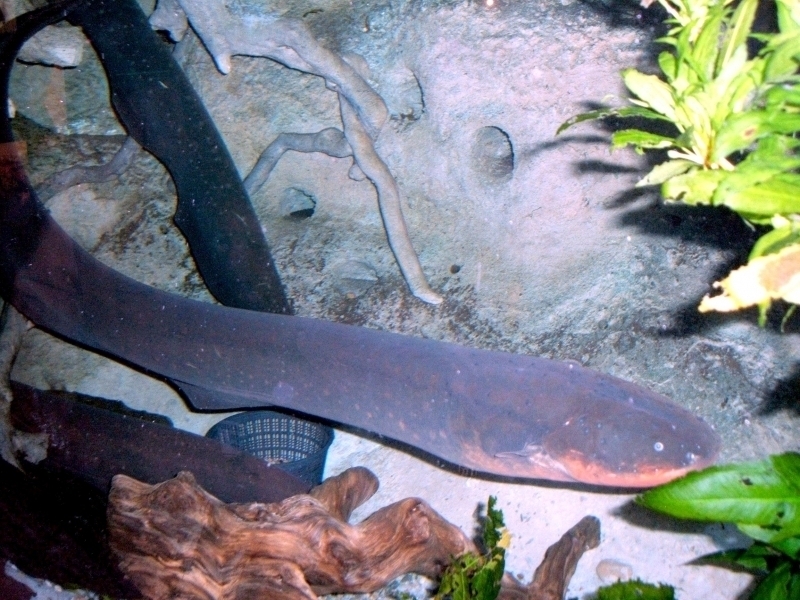 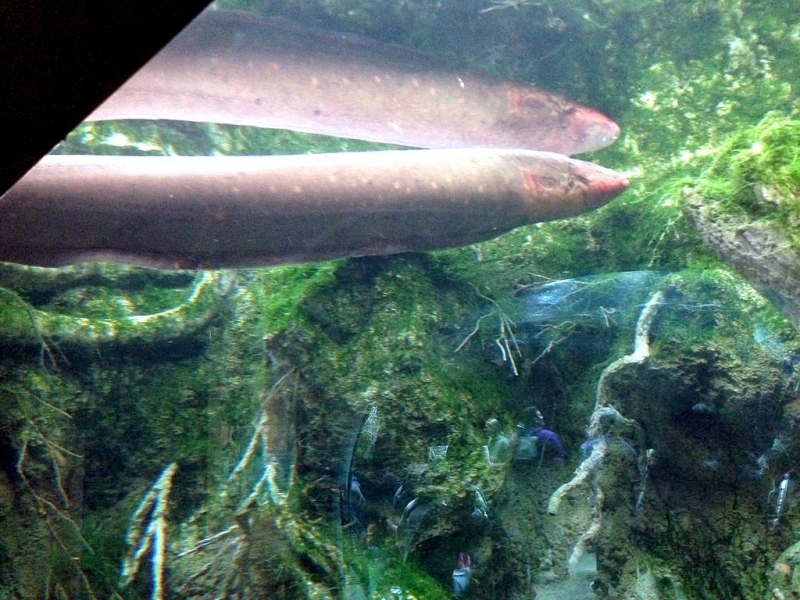 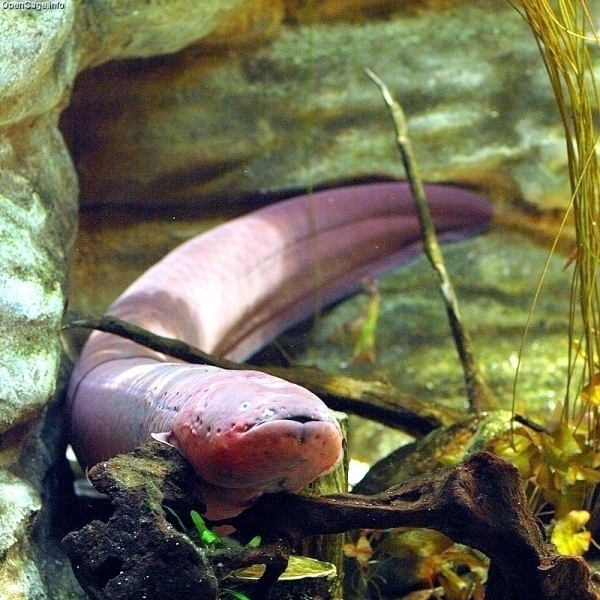 The Electric Eel is also known for its unusual breeding behavior. 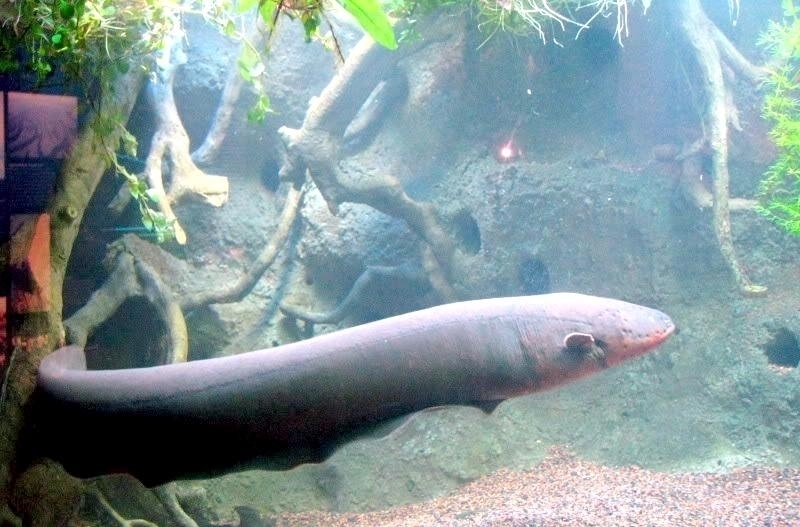 In the dry season, a male makes a nest from his saliva into which the female lays her eggs.